Opposition leader Jeremy Corbyn moves no-confidence motion against govt. The Brexit deal that Prime Minister Theresa May has spent two years negotiating with the European Union has been voted down by British lawmakers. May's Brexit deal, which was supposed to set out the terms of the UK's exit from the EU on March 29, was discarded after MPs voted 432-to-202 to reject it, said the BBC. The Brexit deal was also aimed at setting up a transition period that would last 21 months in order to negotiate a free trade deal with the EU. While a general election is not slated until 2022, the rejection of May's Brexit deal could be followed by an election as opposition Labour leader Jeremy Corbyn has forwarded a motion of no confidence in the government. The confidence vote will be held on at 7:00pm London Time (1400 EST) Wednesday. The vote will allow lawmakers to decide whether or not they will let the government continue. Should MPs express no confidence in the government, they have 14 days to establish a new governing body. However, if May manages to survive the vote, the prime minister said she will offer a different plan for the Brexit on Monday, according to another BBC report. Usually, a defeat as massive as this would have been followed by the resignation of the prime minister. However, May seemed to have made it clear that she intends to stay. May has offered to listen to the arguments of MPs who are demanding either a softer version of the prime minister's Brexit plan, a further referendum, to leave without a deal, or to stop the departure from the EU altogether. Analysts believe that if the EU and UK lawmakers don't agree to a deal, Brexit with no deal could happen and would have extreme economic ramifications. A November 2018 Bank of England report said a "No deal, No transition" scenario would increase unemployment by 7.5%, inflation will rise by as much as 6.5%, and the sterling could crash. The Brexit vote was originally scheduled to be held last December, but the prime minister postponed it in order to try and win more support from the MPs. 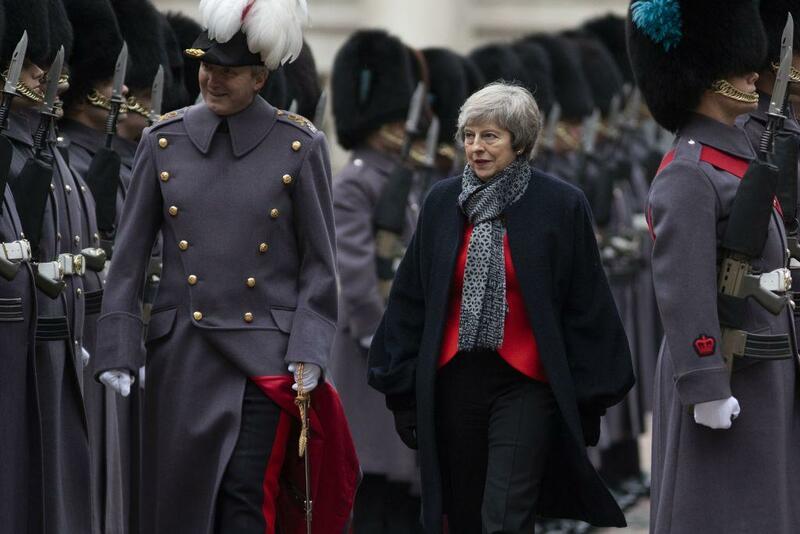 Britain is still leaving the EU come March 29, but the rejection of May's Brexit plan has made the manner of the country's departure and its timing uncertain. The deal covered some important points related to the departure such as how much money the UK will have to pay to leave and what happens to British citizens living in the EU.